Eye Magazine | Blog | What’s that sound? Who’s that girl? What’s that sound? Who’s that girl? 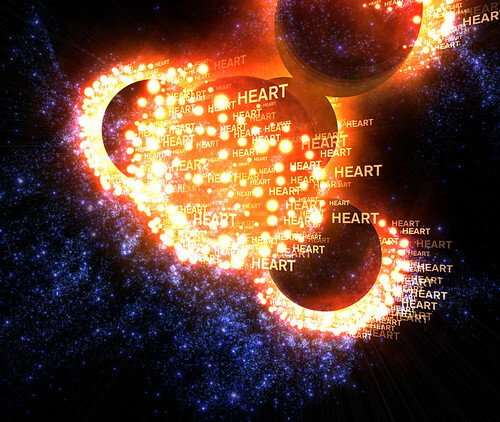 This is based on the music and lyrics of ‘Lovely Head’ by Goldfrapp (below), from their first album Felt Mountain. 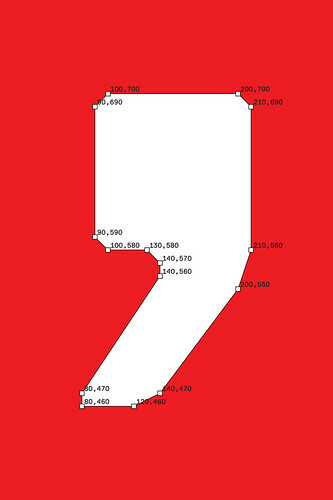 A high resolution still (above) from Hodgin’s music video, made using Processing (for an explanation of Robert’s methods, see his Flight 404 website) is framed by the outline of a (silent) character (below) from the new typeface Replica, designed by Norm. 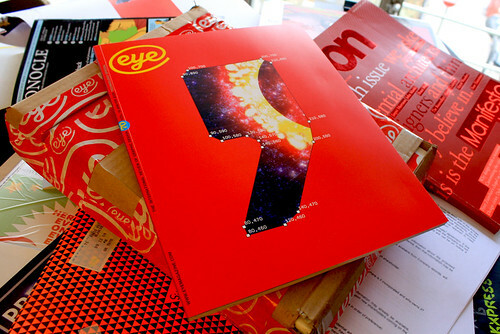 Put them together with the logo and a vivid red and you have the cover for Eye 70, available from all good design magazine stores and bookshops. 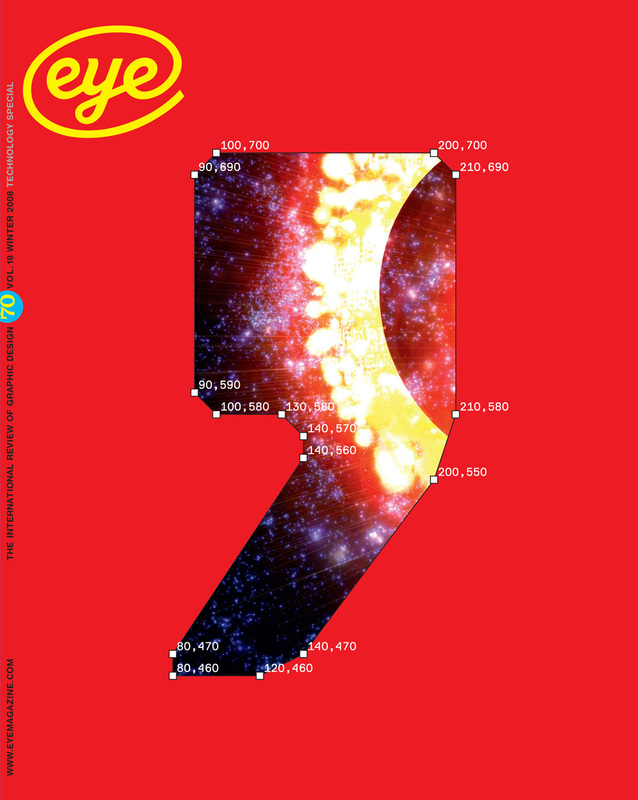 For a full feature contents list, and JLW’s editorial, see eyemagazine.com.